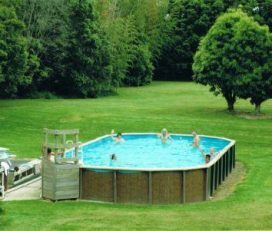 An oasis of peace and tranquility Auckland Outdoor Naturist Club welcomes seasoned naturists, as well as individuals, couples and families who wish to consider a clothes optional recreation and camping environment. Safe and judgement free, our club is an ideal destination for your first clothes free experience. Developed for naturist recreation and relaxation, our 10.4 hectare property has been owned and operated exclusively by its members since 1949. It embodies sections of preserved bushland, a natural stream, mature trees, and native flora and fauna. 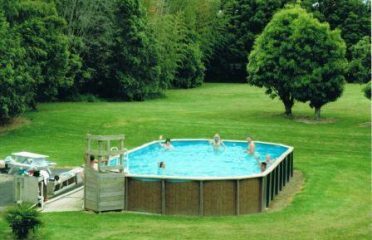 Our grounds are sheltered and idyllic, and incorporate an outdoor swimming pool complex (including a children’s pool), a spa, sauna and gym, a children’s adventure playground and trampoline, volleyball and miniten courts, a 9 hole chip and putt golf course, and several large lawns, all in beautiful surroundings. You can choose to participate in scheduled events or activities such as yoga, life drawing, karaoke, and body painting, or just relax and do your own thing. Whatever you decide, we pride ourselves on doing everything we can to ensure your visit is enjoyable, and one you will want to repeat. Additionally, we have excellent cabin accommodation and camping facilities if you wish to stay overnight or longer. Powered and non-powered sites are available for those who wish to bring a tent, camper van, motor home or caravan.